JUMPER'S JUNGLE FAMILY FUN CENTER. 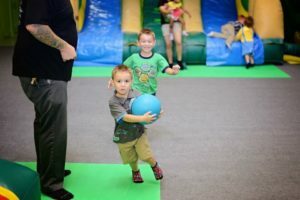 We offer a safe, clean, climate-controlled indoor facility for all ages that’s filled with inflatable obstacles, super slides, jungle bouncers, sports games, and much more. We specialize in birthday parties & special events & hours of Open Play. FIND A LOCATION near you to view Party Packages & Calendar of Events. NO SHOES are allowed and socks are required for all guests, including adults, JUMPING OR NOT. In 2012 the first Jumper’s Jungle Family Fun Center opened up in Las Vegas, Nevada. From that time on, hundreds of thousands of children and their parents have had their birthday parties and other special events at Jumper’s Jungles facilities. By the year 2015, they were beginning to open up multiple locations for the renowned Jumper’s Jungle and expanding the company via licensing to allow for others to own their own little piece of the action. Thanks to the licensing many families across the United States can now enjoy their own business in a fun industry that allows children of all ages to enjoy jumping. 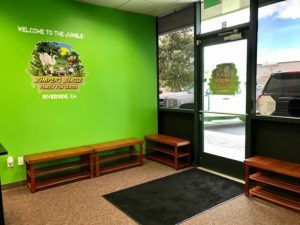 Following the standards set forth by the original Jumper’s Jungle, all of the facilities boast excellent customer service staff and a safe and fun environment for children to enjoy jumping. Families take great pride in owning their own business and it has a strong community backing wherever the facilities are located. Jumper’s Jungle takes having fun seriously and their goal is to ensure that children enjoy a low-cost and safe time where they are having plenty of play time. Of course, children don’t know that they’re doing their exercises when they’re jumping around, and no one needs to let them know. It’s enough that they understand that they are there to have fun. As a parent, you’re just happy to have them away from the computer and video games that they are whiling away their time on. In just 15 minutes, children who are climbing, jumping, running and sliding can burn up 100 or more calories depending on how much energy they are putting forth into their activities. 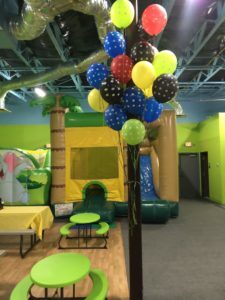 You’ll love the options that you have when you book your next birthday party or special event at your local Jumper’s Jungle. As a child, every kid looks forward to the best birthday party ever. The kind that all of their friends get to attend and are perhaps a bit jealous over. 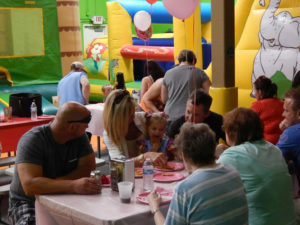 Birthday parties are a right of passage for many kids and being able to look forward to a great party at a Jumper’s Jungle Family Fun Center is an ideal way to make any kid feel like he or she is very special. Imagine how great they’re going to feel when they get to invite their friends to a Jumper’s Jungle for their special day. Their friends are going to have a ball and your child is going to be so excited that they can hardly stand it. It is a great idea. 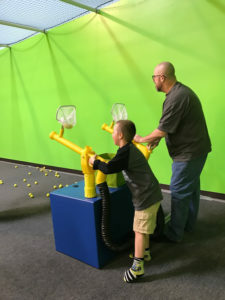 You can easily schedule your kids birthday party at any of our locations and plan ahead to give your child the birthday party of his or her dreams. The only thing you might have to fear when you do this is the other parents being slightly jealous that now they have to step up to the plate and give their kids a party at Jumper’s Jungle to keep up with the pace. So, go ahead and set the pace, plan your child’s next birthday party at Jumper’s Jungle and plan to have a great time. If your child has a birthday during the winter months, you’re already familiar with having to come up with fun and unique ways to celebrate indoors. 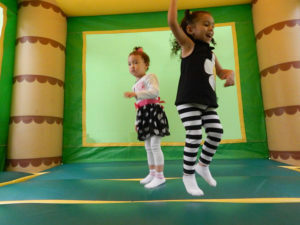 Indoor bounce houses and jump houses are an ideal way to celebrate without having to worry about the elements outdoors. Children will have a clean and safe place to play and exert all of that energy. Parents will enjoy the fact that they don’t have to lift a finger to clean or prepare for the party. Indoor Bounce Houses are the ideal solution for winter birthdays. Safe and fun there is plenty to do. 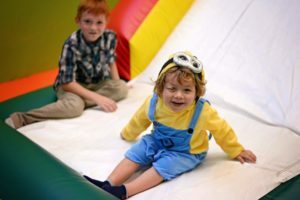 Children can enjoy the indoor bouncy house, fun slides, and the other activities that are found in and around the facility. It’s fun and easy to plan and you can stop worrying about all those dust bunnies that are found in your corners and concentrate on the party guest list. If you prefer to have a fun family day on the weekend you can plan and ahead to visit the family fun center. Children of all ages will enjoy the variety of activities that are available here. From indoor fun houses to the bouncy house to the food you’re sure to have a great time. Snack areas, fun slides, bouncy houses and more offer you and your kids plenty of fun activities for any weekend adventure. You’ll spend hours having a great time and in most cases, the kids will fall fast asleep on the way home. What more could you ask for? A quiet weekend with the kids will be the end result when you choose an adventure at one of our family fun centers. All the kids know the great play places in the neighborhood and they all congregate there. At Jumper’s Jungle, they’ll meet new friends who are all there to have a great time. It’s only natural that kids love the company of other kids so that they can use their imaginations and explore new things. These play places offer them the best of both worlds. Plenty of imaginative toys to hang out on and use and new friends to meet and have a blast with. Parents will be delighted to know that everything is safety inspected and that children are the utmost concern at these facilities. Children will have a safe location to play and they can go to the snack areas when they’re hungry and you can give them snacks that you’ve either purchased from us or you can bring your own snacks. At Jumper’s Jungle, there are plenty of great and fun activities for kids of all ages. Parent’s who need a break may simply enjoy meeting other parents who are desperate for a break. Kids meanwhile, will meet other kids of similar ages and have a great time in the variety of activities that are readily available at the Jumper’s Jungle locations. From bouncing in the bouncy house to sliding down the slides to climbing the safe yet sturdy climbing wall, your kids are going to love it. Climbing walls are made of soft durable materials and if your child happens to let go and fall, he or she won’t get hurt on the padding below. In fact, they may find that this is fun and do it again just for the sport of it. As soon as you enter the lobby of your local Jumper’s Jungle, you’ll be required to remove your shoes. This is for everyone, not just the children who are going to be playing. This is to prevent any damage to the unique and fun play things that are in and around every Jumper’s Jungle. You can plan a private party or a shared party. If you choose a private party, the facility will be yours for two full hours. You’ll pay a price for this but if you don’t want anyone else there this is the way to go. If you don’t mind sharing with others, you can go with a shared party and allow anyone in the facility to join in on your party. You can either bring your own cake for celebrating, or we can supply one for you. Please keep in mind that all food that is brought in must be from a restaurant and cannot be home cooked. This is to comply with all of the latest food regulations and to keep everyone safe from foodborne bacteria and illnesses. It’s all up to you. If you wish to have other food for your party again, you can bring your own foods (see above food requirements) in or we can supply some for you. Just let us know what you prefer. Many parents prefer that we do all the work so that they can enjoy the party too. That’s alright with us. We don’t mind serving the food at all. A trip to the playground is great fun, except when it’s raining or snowing outside. However, with an indoor playground, you’re sure to have a great time no matter what the weather is doing. Your kids will never forget that you took them to an indoor playground when it was too wet to go outside. They’ll appreciate the fun and adventure and you’ll appreciate that they are getting some much-needed exercise after being cooped up inside for days on end. Indoor playgrounds offer a safe alternative to wet outdoor playgrounds that could be dangerous and cause slips and falls and ultimately an injury or two. Children will get plenty of recreation and parents will enjoy the peace of mind knowing that their children are getting that exercise in a safe place. If you’re interested in owning your own Jumper’s Jungle Family Fun Center, be sure to visit our website and fill out the information asked and we’ll get back to you with all of the details to owning your own fun facility. We’ll assist you in finding the right location, planning out the floorplan and all of the required licensing and permits. We’ll also help you to find the right vendors for your needs and facility within your local area. We also offer on site training as well as adveritising and marketing suggestions and advice. You’re not alone when you decide that you want to own your own location of Jumper’s Jungle Family Fun Center. We’re with you every step of the way. So, whether you’re young or old, a student or retired, you can either bring your family to one of our facilities or you can buy your own and enjoy it with an entire community. It’s all up to you. Plan your next birthday party to be the most memorable yet and you’ll find that your kids are the talk of the town. Other parents are going to be asking you how you managed such a great party and you can give them all of the great details. You’ll have a great time and it will be virtually stress free when you let us do all of the work and provide all of the food, cake and decorations. All you’ll have to do is send out the invites and show up on the day of the party.